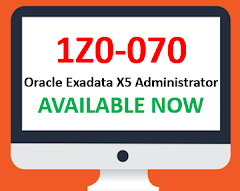 Exadata administration can be done by single Exadata DMA (Database Machine Administration). There is no requirement of team for each domain.Only one specialist (DMA) is required to manage the Exadata. Based on our experience we have given following list of tasks which need to be performed by DMA. We can add many tasks in this list but we have just covered most common tasks specially from Exadata perspective. Hardware installation and maintenance: A database machine required periodic maintenance like firmware upgrade or replace any failure component of machine. 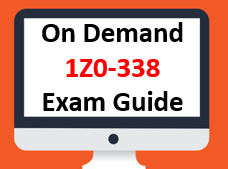 Network Administration: Exadata comes with CISCO ethernet switch for Management and ILOM network, infiniband swithces for cell and DB Node node connectivity so management of network is also includes in DMA's task. General knowledge of netwrok topology required to manage Infiniband switches. Exadata Storage Administration: Important component of Exadata. In depth knowledge is required to manage the cell servers as this is the main component of Exadata which also configured with Exadata Storage Software. 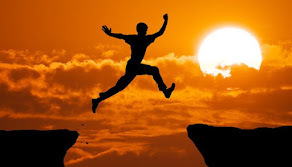 It include monitoring of celldisk, griddisk, cell flash cache, flash disks, OS administration, infiniband connectivity administration. Maintain storage availability during patching. Grid Infrastructure Administration: Inlcudes clusterware, ASM disk group, mirrored cell group as Exadata managed mirroring on ASM level not cell level. Database Administration: Includes single instance, single instance on ASM, one or more RAC node database. 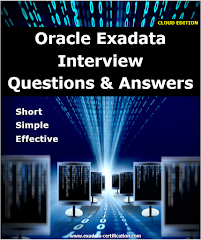 Exadata specific parameters. Here DMA does not need to know full scale Linux , storage or network. Only few relevant concepts are required to manage the Exadata. Overall required skill for component wise in percentage as follows.